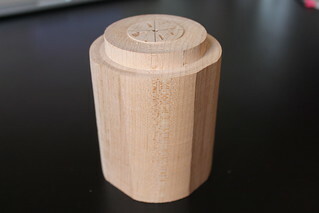 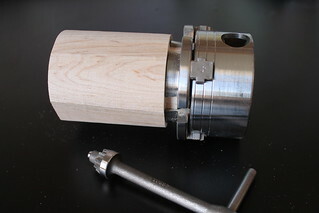 You will be using the 4 jaw chuck to turn an object on the lathe. 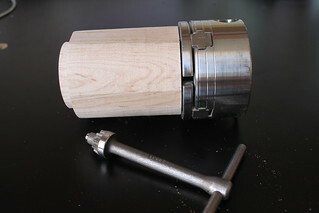 NEVER leave the chuck key in the chuck when it is attached to the lathe. 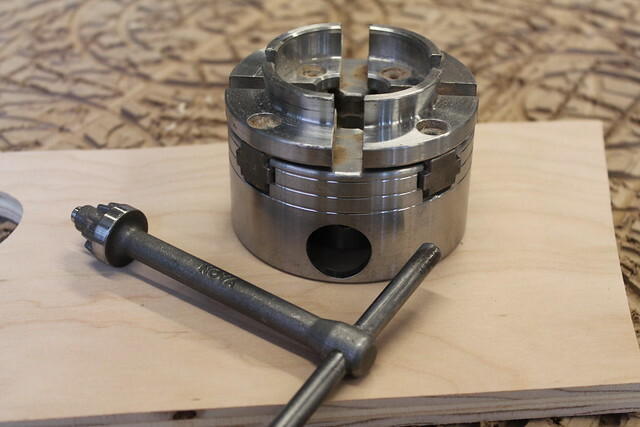 Your material will need either a tenon or a recess to accept the 4 jaw chuck. 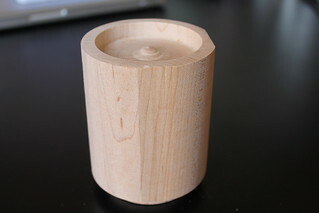 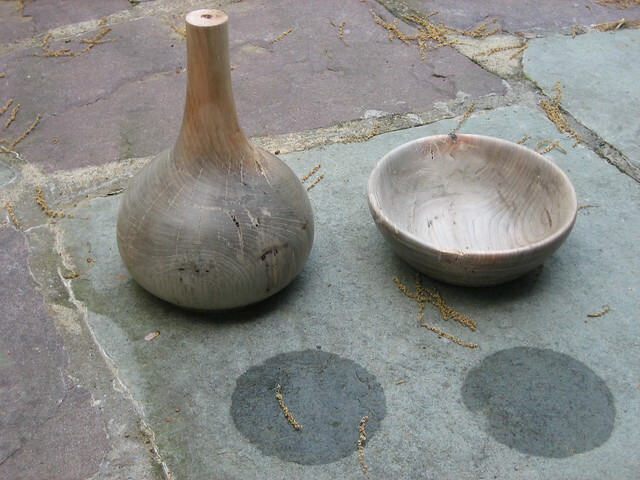 Your piece can be any shape or material you desire, it can have a cavity in it (like a bowl or vessel) or a drilled through hole (like a lamp). 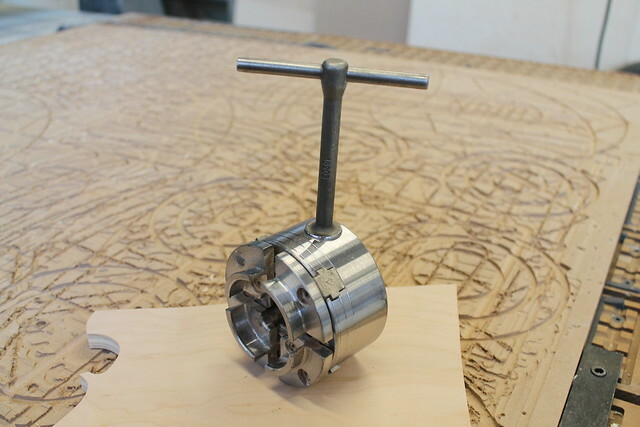 Almost anything goes as long as you use the 4 jaw chuck.